In Pinoy Big Brother a new week means a new task. 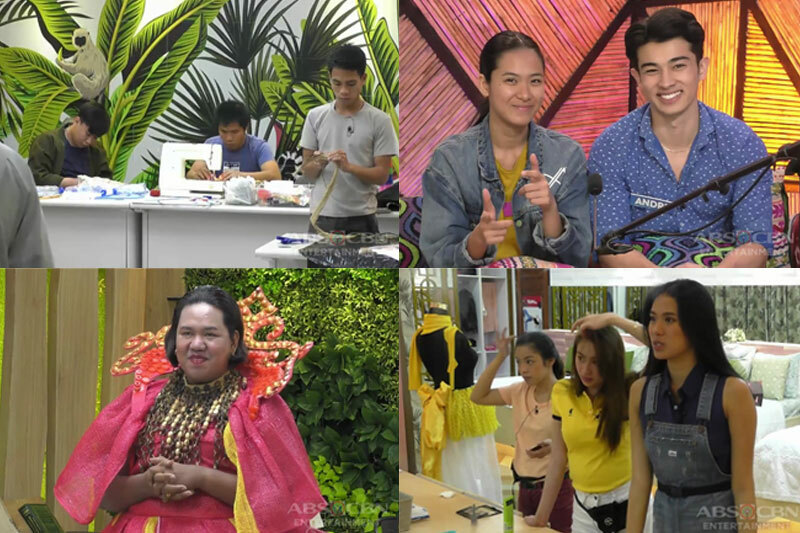 Thus, for their fourth week inside the house, Kuya bestowed them the weekly task dubbed “Trashion Show” and appointed housemates Lou Yanong and Andre Brouillette, who both work as professional models prior to joining the reality show. For this task, the Otso adult housemates had to craft their own outfits made of recycled materials which they must wear and parade impeccably on the runway of the “Trashion Show” they’re about to organize by the end of the week. The morning after the announcement of their latest task, the housemates woke up to the sight of sewing machines and fabulous gowns situated in the living room. Since none of them were adept in using the sewing machines, Lou and Andre went up to Kuya to ask for any help. In order to guide the housemates, Kuya invited Erickson “Ericka” Dusaran, a former Miss Q & A Season 2 Daily Winner who’s also a recycled gown designer for over a decade. He fascinated the housemates by divulging that the frocks displayed in front of them, as well as the one he was wearing, were all his masterpieces. He then went on teaching the housemates how to use the sewing machines, helping them in their designs, advising them what materials to use, and instructing them how to craft their other accessories. After their mentoring session with Ericka, they proceeded on working on their respective costumes. However, they found out that they needed more materials to finish those, so the task leaders once again went to Kuya to convey their dilemma and give the list of things they would need. On the next day, Big Brother summoned Lou and Andre to the confession to tell them that the materials they asked for were already available, but they would only get them once they accomplish the challenge he would give them. The challenge: they had to succeed in the “Zorb Task”, in which the housemates had to enter the giant plastic ball one-by-one and let it reach to the other point of the swimming pool by using three methods. The first one was to balance themselves while standing the middle of the pool for eight seconds; the second was to walk or run straight ala-model on water while inside the zorb; while the third was to move the zorb back and forth the two points without running nor walking. Each method that would be successfully done is equivalent to eight kilos of extra material. 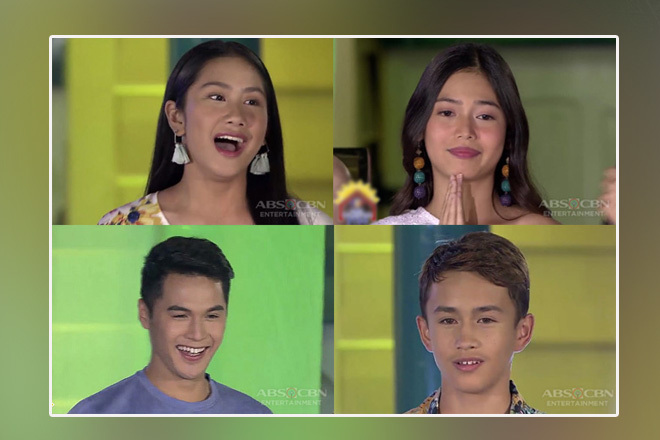 Housemates Andre, Tori Garcia, Yamyam Gucong, Apey Obera, Mark Obera, and Fumiya Sankai were able to do the first and last methods, while Mitch Talao and Wakim Regalado were only able to do the third method. Kuya didn’t let Lou take part in the challenge because of the lumbar strain she’s been complaining about in the past days. 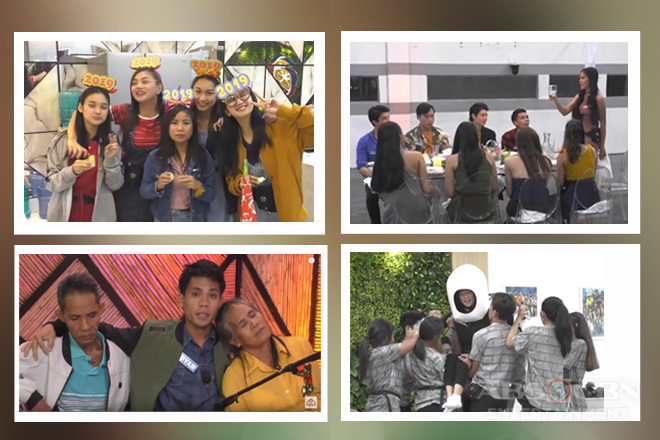 At the end of the special task, the housemates were able to garner a total of 14 points, which was equivalent to 112 kilos of additional discarded articles. As they began weighing their desired materials, a disagreement sparked between Lou and Wakim as the latter argued that the weighing should be done per housemate, which the former and the some of the housemates disapproved. Their dispute continued when Lou relayed to them Kuya’s order of cleaning the living room and ridding it from any type of clutter to which Wakim refused to obey and argued with her again. The girl housemates talked about Wakim’s demeanor while fixing themselves in their bedroom, with Lou indirectly warning him not to mess with her. Will Wakim and Lou be able to fix their disagreement? Are the housemates going to finish their costumes? Let’s all find out in the episodes to come!